From the first call, it was less than a month until the first shoot in Houston. In Part 1 of the series I talked about getting the call, then spent Part 2 planning the trip and Part 3 planning the equipment – now it’s time to shoot! I just want everything to go right. I have contingency plans and back-ups, but don’t want to have to use them. The flight out of Seattle was (ridiculously) early; 5am – the plan was to get to Dallas just before 11am local time, then the connection to Houston just before 2p which should have us on the ground in Houston just past 3… and an event that started at 5:30. Two and a half hours – should be plenty of time. With recent flooding in both Dallas and Houston, and forecasts for thunderstorms during the trip, I was just a little worried. The night before, I checked on rental cars out of Dallas. It’s about a 4 hour drive, so worst-case scenario, if I had gotten to Houston and the flight was cancelled or delayed more than an hour, I could have rented a car in Dallas and driven, which would have gotten me there at about 4p; still 90 minutes to spare. Luckily, except for a go-around because of a plane that was delayed leaving the runway, we were not only on-time, but a little early getting into Houston. To the rental car! The funny thing about events is that things change. Quickly. The event was supposed to start at 5:30… that’s what the client sent me in an email, and told me on the phone, but when we landed I had a text message waiting for me. I guess the time moved up and they wanted us there early, so now we’re in a hurry again. Breathe, relax, drive – it’s all good. We get there and the event goes off without a hitch. With a day off between our first and second shoots, and a rental car burning a hole in a parking lot, we bolted! New Orleans was on the short list (too far for just a day trip) as was Galveston (not enough draw), so San Antonio was the place! 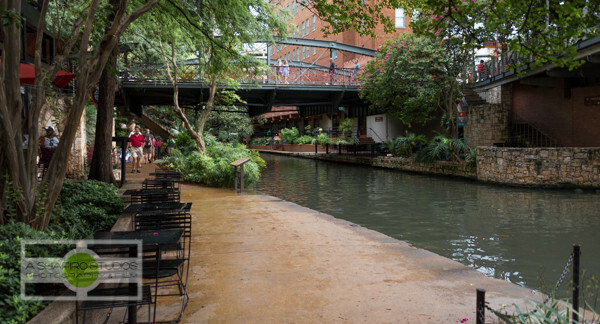 San Antonio has a few different tourist draws. As someone who went to middle and high school in the late 80’s and early 90’s, David Robinson made me want to see a Spurs game, Dabney Coleman introduced me to The Riverwalk in the movie Cloak & Dagger, and it was Pee-Wee Herman and his bicycle that made me want to visit The Alamo. This wasn’t my first time in San Antonio, tho for as many times as I’d driven past it this was the first time I went inside The Alamo. I remember many years ago, before I’d even driven by, talking to someone who had been there. 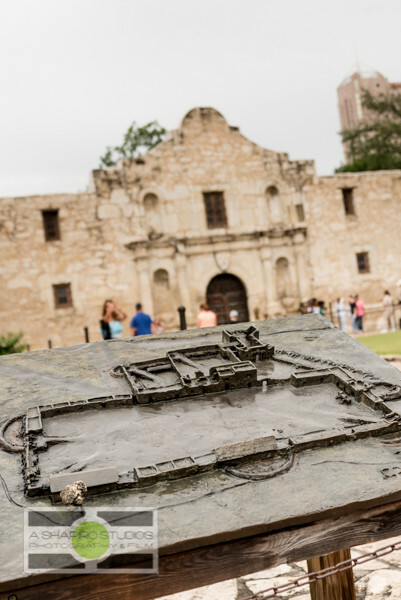 Their reaction was ‘it’s so small – much smaller than you think it’d be.’ And yes, the building that you think of as “The Alamo” is pretty small. Only, that’s not The Alamo. Or, more specifically, it’s only a small part of The Alamo. See, The Alamo was a fort. A fortress. A last stand. 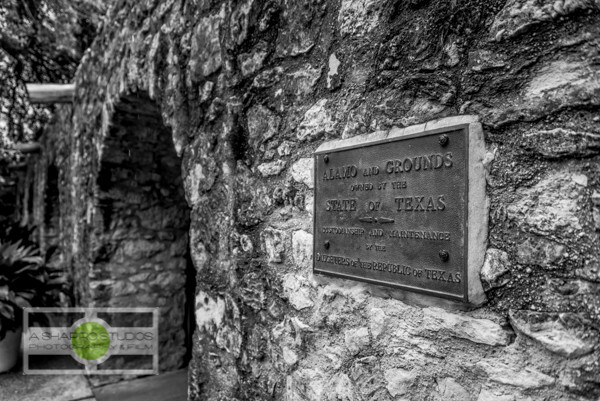 In the early 1830’s, San Antonio had a population of roughly 2,500 people and many of them were directly connected to the compound, known as The Alamo. 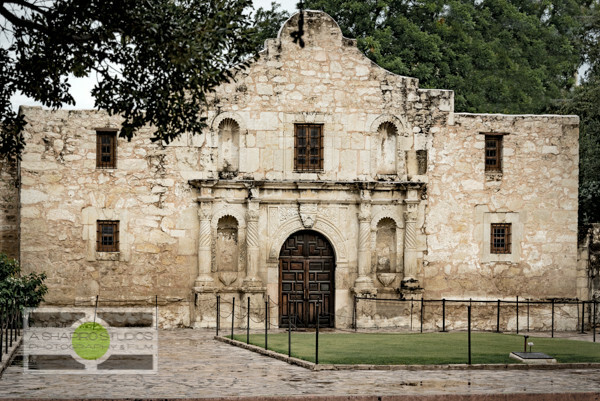 The building you think of as The Alamo dates to the mid-1700’s as a Mission-era church, and is known now as The Shrine – and takes up only a tiny portion of The Alamo grounds. As a military facility, there were many other portions to the facility. Today, The Shrine holds plaques recognizing the nearly 200 people that were known to have died defending The Alamo in 1836 (and likely many more). No photography is allowed in the Shrine, so you’ll have to go experience it for yourself sometime. No, there really is no basement at the Alamo. So, what are we actually shooting? I’m glad you asked! Disclosure: Although we’re shooting 9 events, and this mini-series is called “Shooting the CONCACAF Gold Cup”, not all of the events are Gold Cup matches. My client is a marketing company based in Chicago, and their client is Allstate. They are major sponsors of not just the Gold Cup, but lots of soccer events in the US. 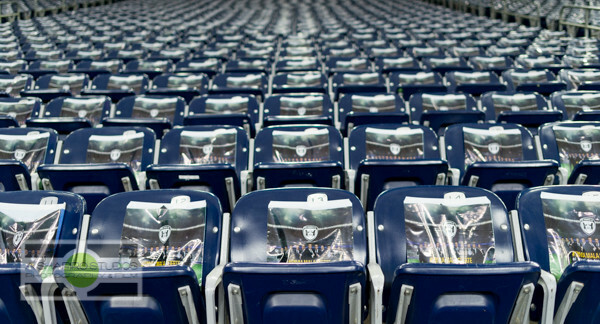 If you’ve been to a World Cup lead-up match, an MLS match (Go Sounders FC! 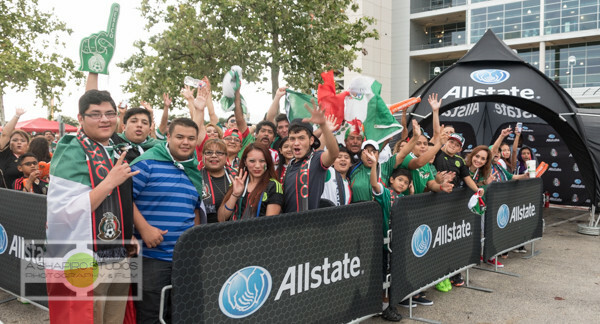 ), a Mexico Men’s National Team match or any other competitive soccer match and saw Allstate in the fan village, chances are my client managed that promotion. 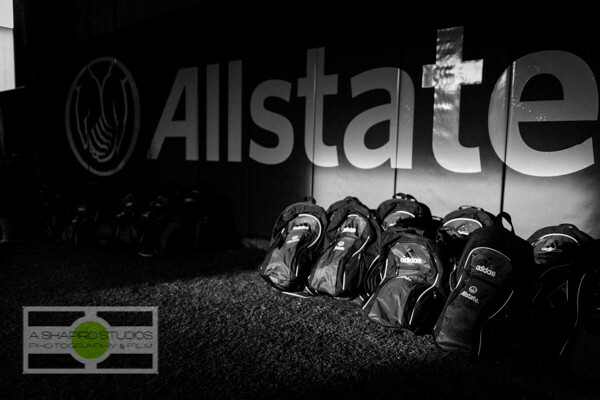 As an event photographer, my job is to help my client show Allstate the value that they’re getting from their sponsorship… in many different ways and places. Tho Gold Cup matches will be played in Houston, the first round isn’t until July 7. 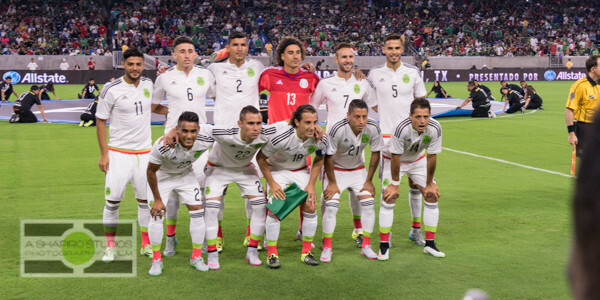 This trip was to support Allstate’s activities with their sponsorship of the Mexico Men’s National Team. 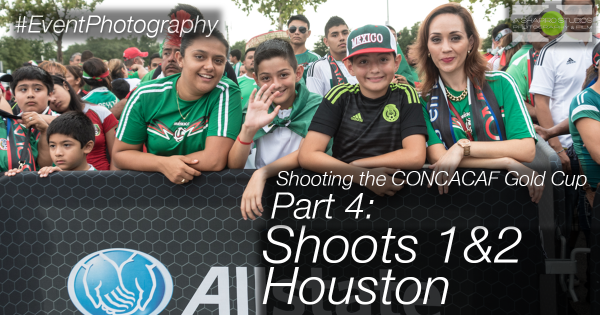 It was a nice primer for the upcoming Gold Cup matches, tho – getting into the swing of things working with my videographer and remembering the images this client likes, while not-yet in the craziness of Gold Cup. 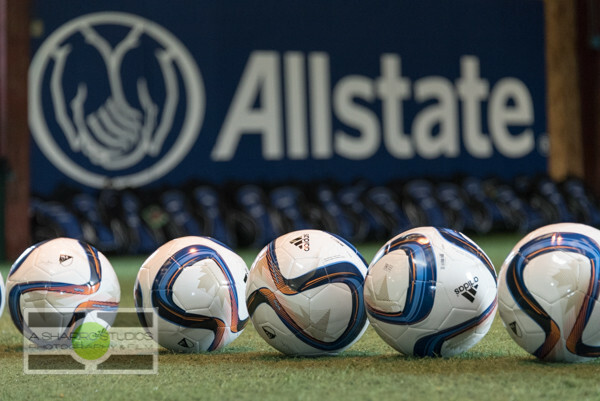 This was, at least, the 10th MNT match I’ve shot for Allstate. 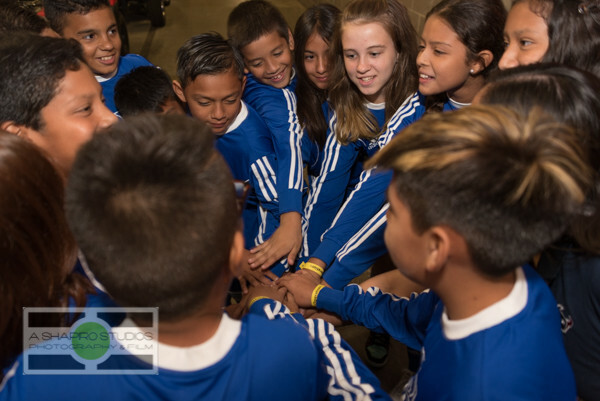 In Houston, there’s a small youth athletics center, called Soccer Centro, with a great story. Short version? A guy loved soccer, and loved his community, and wanted to help kids by introducing them to a great sport while giving them something to believe in. He built it out of nothing, and was so committed to it that he quit his job to ensure its success. Today, Javier Cuellar and Soccer Centro provides professional soccer development programs for players, educators and referees through high academic standards and healthy lifestyles. Children that start in the program have not only gone on to high-level play, they also return to give back to the program that started things for them. Recognizing this, Allstate has committed time, energy and funding to help Soccer Centro. Allstate is very proud of their local agents, and their involvement in the local communities. 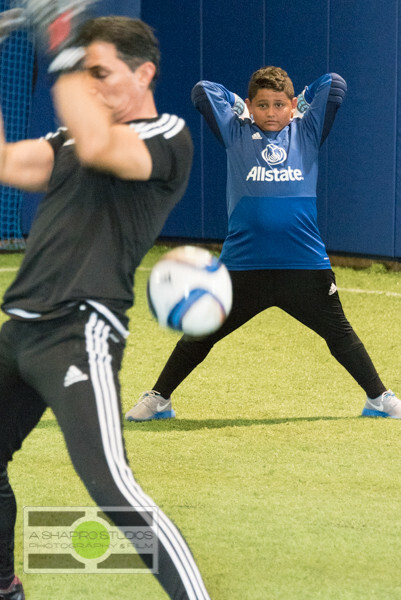 This is the second time Allstate has chosen Soccer Centro as a community partner, and this time returned with Mexico Men’s National Team legend Adolfo Rios to hold a goalkeeping seminar. Split in 2 groups (older and younger players), Rios ran the kids through stretches, practices and other drills just as he did as a full-time player. 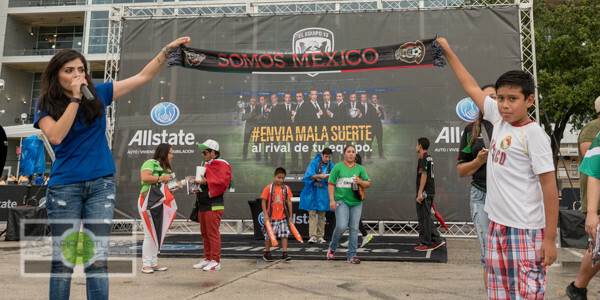 After the drills, he and local Allstate Agent Ricardo Barceló gave brief words of continued encouragement to the players before surprising them with some kit – a backpack containing a ball, uniform, pads and more, plus tickets to the Mexico vs Honduras match to be played at NRG Stadium later that week. The Kids. Were. Thrilled. Then came match day! There had been a solid downpour earlier in the day but things were looking OK for the fan village, and things all opened on-time – then the rain came again. Lightning close by made producers close the village for a bit, but it was back open by 5:30p for the afternoon. Prizes, Adolfo back with us for more autographs with fans, … wow I love the event environment! There’s just something special about events. I love the energy and excitement in the air. I love the sense that anything can happen at any time. I love the innovation of producers. I love looking at what was successful and what wasn’t, and why. I love the looks on people’s faces when they experience what you’ve put together. I love how no matter how much planning you do, or how prepared you are, you can’t stop the clock; the event is going to happen and at some point you just need to get out of the way, let all of your hard work pay off and enjoy the ride. That’s why I’m an event photographer. I’m lucky. I’ve been shooting with this client for long enough now that I know what they’re looking for, and how to shoot to get what I need, so it really just comes down to the things that make it different. This, however, was a little different. It was Allstate’s Title Match. On the Mexico MNT tour, each of the major sponsors gets a chance to have their name as the lead for the match and this was Allstate’s turn. What does that mean? More visibility. Lots more. Launching a new campaign (#EnviaMalaSuerte). More on-field activities. More signage, and all of it needed to be captured. The shot list more than doubled. At the end of the day, tho, the big goal is to enjoy the whole process while making great photos that the client can use… and working with these clients makes it easy. The people are great, their intentions are true and their product is top notch. Houston was a great kick-off to a month’s worth of fun events with Allstate! Oh, you want to see pictures? 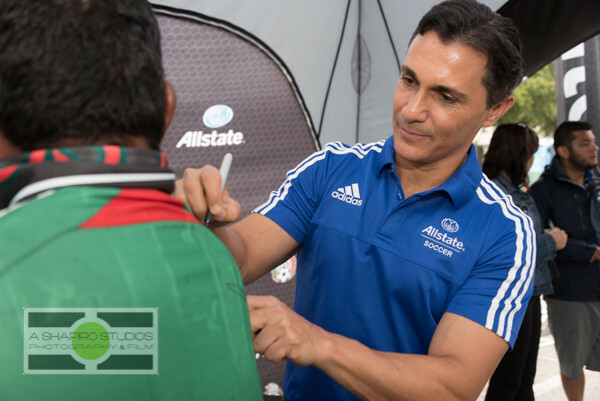 Here are photos from Allstate’s Community Outreach event at Soccer Centro in Houston with Adolfo Rios, and here are photos from the Mexico Men’s National Team match at Houston’s NRG Stadium vs Honduras, Presented by Allstate. On to Dallas, and round 1 of the CONCACAF Gold Cup!